Nearly all of our overseas travel involves long flight times and, when airport check-in, delays and transfers are included, it is not uncommon for Australian travelers to be underway for 24 or 30 hours- an arduous experience for everybody but especially for the young and the elderly. 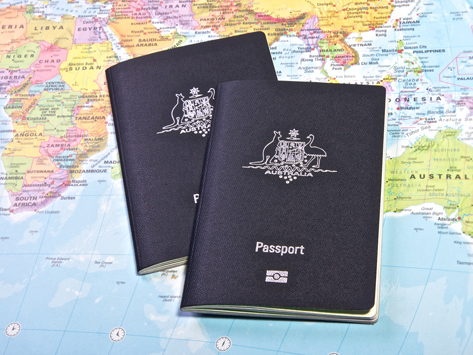 Routines are disrupted and the traveler may go for a long period without sleep; and is exposed to the stresses and strains of negotiating airports, immigration control and customs in environments that are very different from Australia’s. Some of the health results are not particularly severe but can be uncomfortable, for example diarrhea and constipation, eye discomfort, sinus problems. Other health effects can be more serious such as panic attacks or depression and deep vein thrombosis. Secondly, many overseas travelers have chronic conditions like diabetes, asthma, heart disease and kidney disease. These conditions commonly involve a complex program of management and medications and the possibility of hospitalization in the destination country. Thirdly, because we are such intrepid travelers we often go to countries which expose us to local contagious diseases which are unknown in Australia- for example, yellow fever, meningococcal meningitis, malaria. Our overseas travel support addresses each of these risks. Firstly, as regards the travel itself we will discuss and assess your exposure to the kinds of health difficulties you might encounter whilst travelling, especially in the light of your own previous experience. We will then suggest medications or other remedies to be included in your health travel pack. As regards contagious diseases, East Canberra General Practice is an accredited provider of Yellow Fever Vaccination and Yellow Fever certificates for travel internationally. We also stock vaccinations for common vaccine-preventable diseases in travellers such as whooping cough, tetanus, hepatitis A, influenza and typhoid. These products are available at cost price to our patients and can be administered at the same time as a travel health consultation. Other vaccinations and medications for travel can easily be arranged at a consultation including advice on disease prevention and good health during travel abroad. "99% of all patient ratings about this practice were good, very good or excellent."